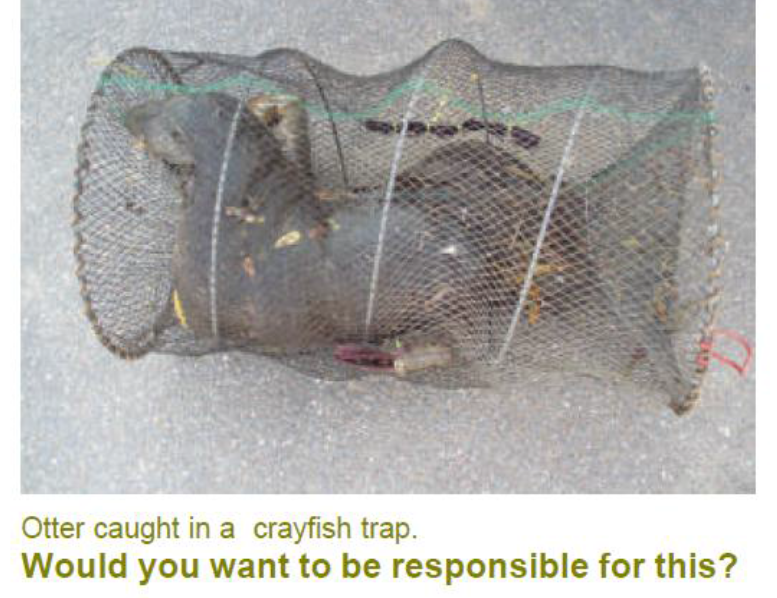 The Environment Agency and Leicester City Council Riverside Team and Enforcement officers will be patrolling the area, bailiffs will check for illegal traps and take action. Leicestershire Police are aware of the incident and have agreed to take action if evidence is provided and will be part of a pro-active campaign to reduce wildlife crime in the area. AMAS is working with other partner organisations to raise the profile of this illegal activity. 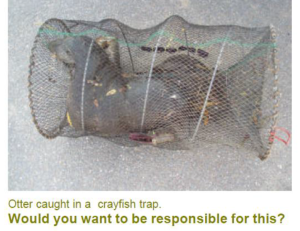 If you see any traps in or near the river please call 0800 80 70 60 immediately. This is the Environment Agency incidence number.